I've been using CLR inside for a long time. It helps a lot on the hard water we have out here in the country. CLR cuts through the lime and leaves the fixtures nice and shiny. 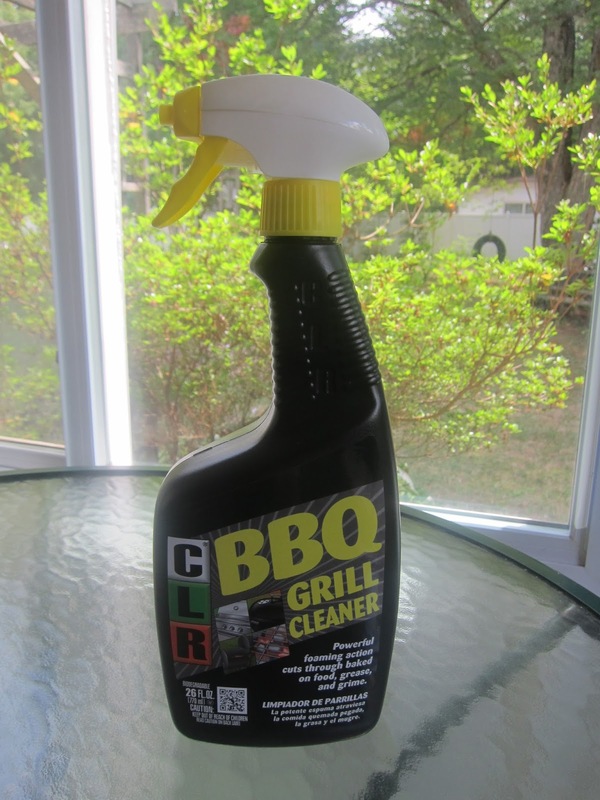 When CLR got in touch about their new grill cleaner, I was excited. It wasn't around here yet, but I thought it would be a good pick, since the inside CLR was so good. 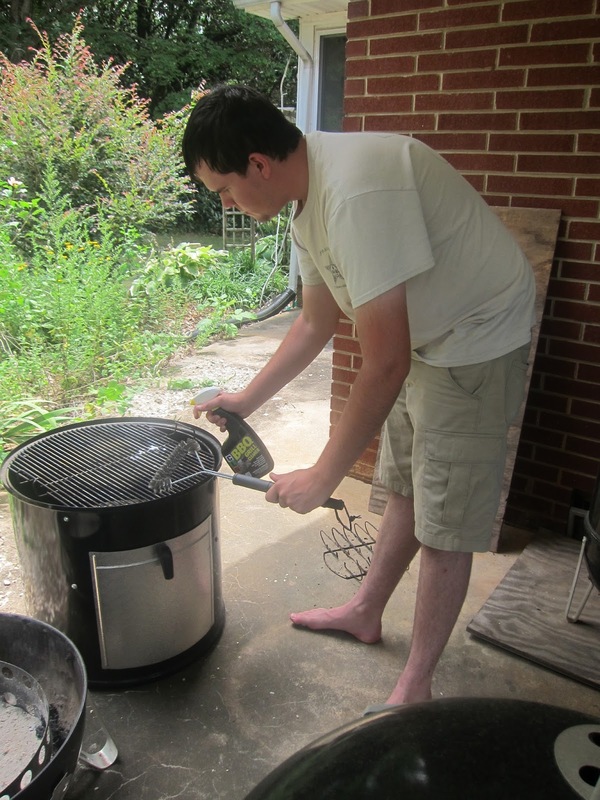 The company sent me a bottle of the new grill cleaner, and my son even agreed to clean the Weber smoker. It had a good amount of gunky barbecue sauce from smoking ribs. 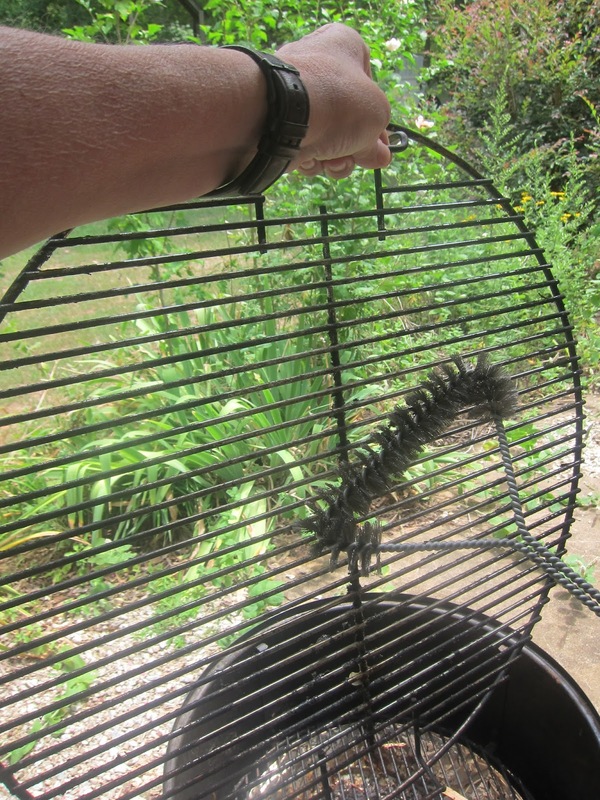 With CLR Grill Cleaner, the grates were clean in no time. Eli also cleaned down the water pan which wasn't too bad, since it had been covered in aluminum foil. The outside got a quick wipe. The smoker looked almost like new. You can see here that the grate is cleaning up nicely. Eli has finished most of the main spokes and is getting the crud out from the center part (which is where the build up is usually the worst). I would certainly recommend CLR. I liked it so much that I'm already out. I'll have to check Lowe's or Food Lion and see if they carry CLR BBQ grill cleaner. It really does make clean up easier.